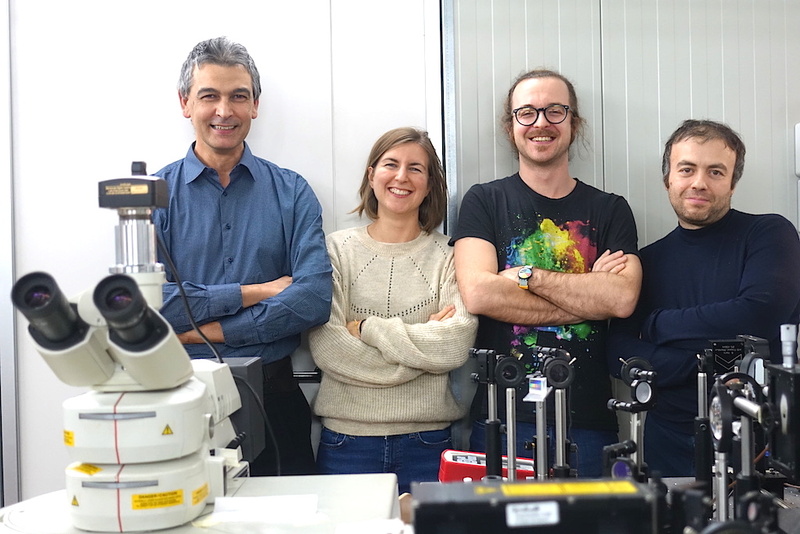 In December 2018, we met CERIC users Claudia Invernizzi, Tommaso Rovetta and Prof. Danilo Bersani at the IUVS and SISSI beamlines at Elettra, the Italian CERIC partner facility in Trieste. The research group combined different synchrotron light techniques to study the finishing materials used to make violins and cellos, by artists such as Antonio Stradivari, Lorenzo Storioni and Giovanni Paolo Maggini. With the methods deployed, the research group from the Arvedi Laboratory of Non-Invasive Diagnostics in Cremona, with the support of expert scientists from Elettra (Chiaramaria Stani, Lisa Vaccari, Barbara Rossi and Francesco D’Amico) observed the sections of microscopic samples taken from the instruments’ surface. Their aim was to identify the type and disposition of both organic and inorganic materials used in the coating system, which are considered to be fundamental for the quality of the acoustics and timbre of these instruments. The data acquired through this study still need to be analysed before making results public. However, it can be said that the data and information collected in this field of research are extremely important for contemporary instruments’ makers, who can further develop their art by learning from the revealed secrets of ancient masters from the violin making “golden period”. This type of investigations, and in particular the work conducted by the Arvedi Lab, is opening great opportunities to both the older and newer generation of instruments’ makers in the Cremona region, where the ancient art of violin making is also part of the UNESCO intangible cultural heritage. Contemporary artists and makers can in fact benefit from the knowledge acquired through these studies to build high-quality instruments with the same recipes and techniques used in the past.